If you thought that it was all going to end with Assassin’s Creed, we hope you didn’t bet on it. The reboot / remake era is apparently not going anywhere, and video games are not an exception. The lesser-known horror game Five Nights At Freddy’s is next in line to get it’s big screen adaptation. Warner Bros. have partnered up with Seth Grahame-Smith and David Katzenberg to make a movie out of the soon-to-be insanely popular PC and mobile game. The production studio will be distributing the movie, while Grahame-Smith and Katzenberg will be producing it. 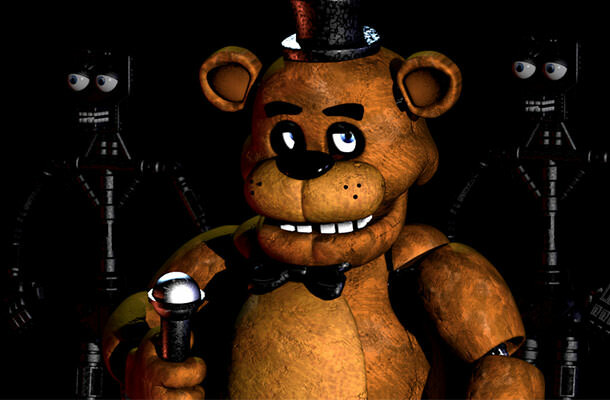 The game centers on a version of Chuck E. Cheese called Freddy Fazbear’s Pizza, where the robotic bears spend their days entertaining children, and their nights killing people. Yeah, we know. The objective of the game is to survive a night locked inside the restaurant with the terrifying animatronics. The director for the project has not yet been chosen, while the producers are currently seeking writers. Seth Grahame-Smith is well-known in the tight horror-genre circle for his writing and producing skills alike. He adapted his novel Abraham Lincoln: Vampire Hunter for the big screen and scripted Tim Burton’s Dark Shadows. Also, the upcoming horror film Pride And Prejudice And Zombies is based on his novel. The producer has his work cut out for him when it comes to organizing his time, since he is pretty busy at the moment – he’s writing the screenplay for the upcoming Beetlejuice sequel, and he’s producing Cary Fukunaga’s adaptation of Stephen King’s It.